Instagram still has some of that feeling and excitement of a young Facebook. Before the clutter arrived and maybe even before your parents and grandparents joined. Ads are still an uncommon sighting in users' feeds, but the writing is already on the wall. The world's largest advertising conglomerates are making nine-figure deals with Instagram and its parent company Facebook to get an inside track on the action. Meanwhile, full-service agencies with targeting mechanisms, analytics and creative chops specific to Instagram are growing across the country. Even without a fully baked advertising platform, Instagram is supporting an industry with massive potential. Just follow the money. Instagram struck its first major advertising deal with an agency in March, securing a US$100 million commitment from Omnicom. Two months later and just weeks after its $35 billion merger with Omnicom fell apart, Publicis Groupe inked a deal valued around $500 million with Facebook and Instagram. Now may be the best time ever for marketers to use Instagram, but brands should be preparing for a sprint instead of a marathon, according to a report penned by Forrester Vice President and Principal Analyst Nate Elliott. The top brands studied by Forrester generated a per-follower engagement rate that's 58 times higher than Facebook posts and 120 times higher than tweets. "As users and marketers flock to Instagram, clutter will increase and Instagram will likely begin filtering out brands' posts in the name of relevance. Marketers must use Instagram now, before it changes the rules -- and they must be ready to move on to another social site when Instagram's phenomenal engagement rates disappear," Elliott writes in the report aptly titled " Use Instagram Now." Here's why brand's see greater success on Instagram: It attracts fewer people and marketers than Facebook and Twitter, it doesn't algorithmically or otherwise filter out brands' or users' posts, and the median age for an Instagram user is 27 compared to Facebook's median age of 40. How Long Before Organic Reach Declines? "Instagram's active user base has doubled in the past 13 months and we believe that more brands will soon pursue this audience," Elliott writes. "Instagram's days as a blissfully clutter-free environment are numbered." Marketers stand to lose much of the organic reach they enjoy today, similar to what's played out on Facebook over time. "Instagram's struggle to introduce ads is a problem for brands," Elliott adds. "Instagram's two tests of paid advertising have met significant resistance -- and that's not just bad news for brands hoping to buy ads. If Instagram's users don't accept ads from brands they haven't followed, the site will have only one ready-made revenue stream: Convincing brands to promote posts to their existing followers. 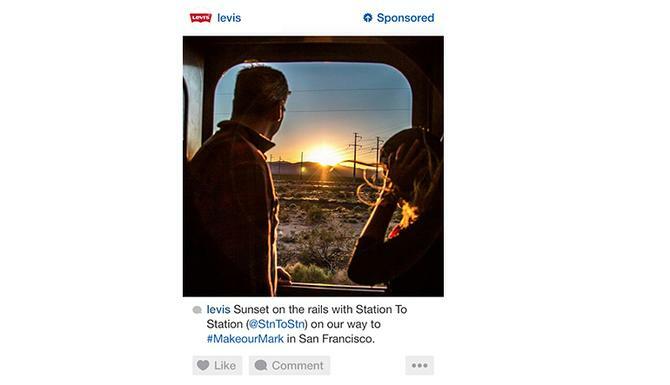 That could motivate Instagram to more aggressively reduce brands' organic reach." Third-party developers and agencies are leveraging the first version of Instagram's API to make the most of the opportunity today, but also prepare for a more complex future. Ernie Capobianco, CEO of Sq1, tells CIO.com he expects Instagram to start getting more technically savvy by opening up different ad placements, working with more agencies and further developing its targeting capabilities. Facebook enables advertisers to target audiences directly at the point of purchase, but Instagram hasn't made that leap yet nor has it introduced CRM integration or the pricing models enjoyed by other more established platforms. "It's a painful process to run those Instagram campaigns," says Capobianco. He expects that to change when Instagram gets even cozier with Facebook to offer combined targeting options, workflow and reporting. "There's a lot of really cool advanced targeting strategies we're able to do in Facebook, hopefully we're able to do that soon enough in the other platforms," Capobianco says. Despite those limitations, theAmplify was able to break cash-flow positive just six weeks after it launched late last year to focus exclusively on Instagram influencer marketing, according to CEO and founder Justin Rezvani. The Culver City, Calif.-based startup has developed an algorithm called "SharedRank" that taps into Instagram's API to measure against 1,000 data points and enable brands to target 16 specific affinities of individuals. "The important thing for marketers are not the influencers themselves. The important thing for marketers are the audiences that reach those particular influencers," says Rezvani. He also believes Instagram will eventually embrace programmatic buying and deeper targeting opportunities through audience segmentation, but for now it makes sense that process would be less technical on Instagram. "The focus in here is creative and creating beautiful content and experiences on Instagram," Rezvani says. "If you just put too many ads on this platform it's going to be really difficult to engage. You have to remember everything on Instagram is 100 percent share of voice and everything takes up 100 percent of the screen at a certain time. So an ad unit on Instagram is way more impactful than any type of platform. On Facebook you'll look at four or five ads with one screen, this you're only looking at one at a time."